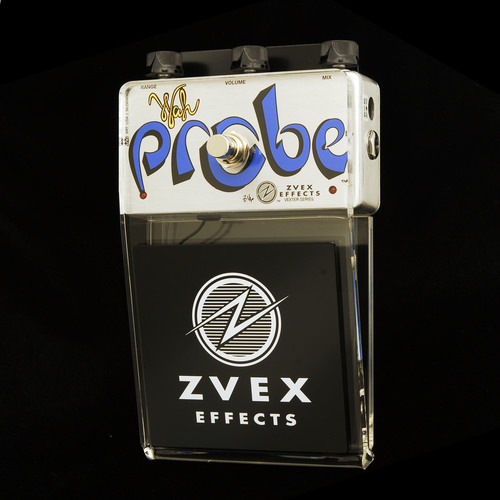 The ZVEX Wah Probe is wah-wah pedal with no rocker pot to wear out, it uses a proximity sensing radio transmitter so you can achieve super fast wah action and chewy sounds (pulling your foot quickly away), and it even has a Super Hard On™ built in so you can drive it to any volume you want. Vexter Series pedals are lower priced, featuring silk-screened art. The parts inside all models are identical. Dimensions: 7.50" x 4.70" x 2.40"